This guide provides an introduction to British Virgin Islands (the “BVI”) Segregated Portfolio Companies which are formed under the BVI Business Companies Act, 2004 (the “Act”), as amended by the BVI Business Companies (Amendment) Act, 2018, the Segregated Portfolio Companies (BVI Business Company) Regulations, 2018, theSegregated Portfolio Companies (Mutual Funds) Regulations, 2018, and the Segregated Portfolio Companies (Insurance) Regulations, 2018. The Segregated Portfolio Company (“SPC”) is a single legal entity within which various segregated portfolios may be established. The assets and liabilities of each segregated portfolio are legally separate from those of the other segregated portfolios. It should be noted however, that each segregated portfolio is not a separate legal entity. The assets of an SPC are either classed as segregated portfolio assets (assets of each individual segregated portfolio) or general assets of the company (assets which are not apportioned to any individual portfolios). Segregated portfolio assets shall only be available and used to meet liabilities to the creditors of the SPC who are creditors in respect of that segregated portfolio and who shall thereby be entitled to have recourse to that segregated portfolio’s assets. An individual segregated portfolio’s assets shall not be available or used to meet liabilities to creditors of the SPC who are not creditors in respect of that segregated portfolio. Should the assets of the individual portfolio be insufficient to satisfy the liability, the creditor may have access to the general assets of the SPC. Thereafter, the creditor will not have access to the assets of any other segregated portfolios of the SPC. An SPC may issue shares in respect of an individual segregated portfolio (“Segregated Portfolio Shares”). The proceeds of such a share issue shall be attributed to the individual segregated portfolio’s assets. Segregated Portfolio Shares may be issued in one or more classes and a class of Segregated Portfolio Shares may be issued in one or more series. Where shares are issued, other than Segregated Portfolio Shares, the proceeds of issue shall be included in the company’s general assets. An SPC may pay a dividend in respect of Segregated Portfolio Shares. Any dividend may be made by reference only to the segregated portfolio assets and liabilities attributable to the segregated portfolio in respect of which the Segregated Portfolio Shares were issued. This is discussed in further detail at paragraph 7 below. As the segregated portfolios are not separate legal entities, the SPC executes all agreements or contracts for and on behalf of the segregated portfolio(s). When entering into an agreement the SPC must indicate that the execution is for the account of the relevant segregated portfolio(s). It should be noted that, unlike some other jurisdictions, under BVI law there is no personal liability attached to directors for failure to do so. An SPC may be formed either by incorporating a new company as an SPC or, if the company has already been incorporated, by re-registration with the BVI Registrar as an SPC. (d) of such class or description as may be prescribed by the regulations made under section 159 of the Act. The following three sets of regulations come into force on 1 October 2018: (i) the Segregated Portfolio Companies (Mutual Funds) Regulations, 2018 (“Mutual Fund SPC Regulations”); (ii) the Segregated Portfolio Companies (Insurance) Regulations, 2018 (“Insurance SPC Regulations”); and (iii) the Segregated Portfolio Companies (BVI Business Company) Regulations, 2018 (“Business Company SPC Regulations”). (e) performing such other duties, responsibilities and investments as are not inconsistent with any restriction or prohibition under the Act or the Business Company SPC Regulations. An SPC may create any number of segregated portfolios provided that it gives notice to the Commission within 14 days of the creation of the segregated portfolio. The application to incorporate or register an SPC should be in the approved form and include the name of the SPC, the details of its directors, a list of the segregated portfolios, details of a director appointed by the SPC in respect of each segregated portfolio, the memorandum and articles of association and the written approval of the Financial Services Commission of the British Virgin Islands (the “Commission”). iii) the company has given notice to members of its intention to apply for registration as an SPC. The Commission may give its approval to the incorporation or registration of a company as a segregated portfolio company subject to such conditions as it considers appropriate, if it is satisfied that the company has, or has available to it, the knowledge and expertise necessary for the proper management of segregated portfolios. From 1 October 2018, the Mutual Fund SPC Regulations will revoke and replace the Segregated Portfolio Companies Regulations, 2005 and make provision for mutual fund specific matters. In addition to the matters set out generally in this note, the application to incorporate a mutual fund SPC must include details of the administrator, details of the functionaries to be appointed in respect of each segregated portfolio, an application to be approved, recognised or registered as a mutual fund and a copy of the offering document or investment warning. A mutual fund SPC must have one or more administrators, managers, and custodians. A mutual fund SPC or a segregated portfolio may apply to the Commission to be exempt the requirement of having a manager or custodian or other functionary (except an administrator) in respect of a class of segregated portfolio or segregated portfolio company. A public fund SPC may not create a segregated portfolio without the prior written approval of the Commission. A private or professional fund SPC may not create a segregated portfolio without the prior written approval of the Commission unless the functionaries are the same as those listed on the SPC’s application to be recognised as a fund and they are in a recognised jurisdiction. An incubator or approved fund may not create a segregated portfolio without the prior written approval of the Commission. In certain circumstances related to segregated portfolios listed in the application for incorporation or registration as an initial segregated portfolio the Commission’s prior approval is not required. In these circumstances the Commission must be provided with a copy of the offering document or investment warning and informed of the creation of the segregated portfolio within 14 days. insurance intermediaries or loss adjusters. The agreement appointing the insurance manager shall specify the segregated portfolios over which they are appointed and their responsibilities. An Insurance SPC shall ensure that its segregated portfolios maintain a minimum margin of solvency as per Division 1 of Part IV of the Regulatory Code and, for that purpose, Schedule 5 of the Regulatory Code shall determine the margin of solvency but an Insurance SPC segregated portfolio is not required to maintain any contributed capital. An Insurance SPC may not create a segregated portfolio without the prior written approval of the Commission. SPC’s incorporated or registered under the different SPC Regulations have different fees. On the coming into force of the Amendment Act the fees will be as set out in the table below. where relevant, to apportion or transfer assets and liabilities between segregated portfolios, or between segregated portfolios and general assets of the company. On the coming into force of the Amendment Act a segregated portfolio of an SPC may enter into a contract or other agreement with another segregated portfolio in the same SPC. The directors of an SPC may permit a segregated portfolio to enter into a contract or other agreement with another segregated portfolio of another SPC, with another SPC or with any other entity that a segregated portfolio may properly enter into a contract or other agreement with. the effect that any existing deficit in the assets of one or more segregated portfolios of the company has on the general assets of the SPC. A mutual fund SPC (that is not an incubator fund or an approved fund) and an Insurance SPC must appoint an auditor and audited financial statements must be filed with the Commission within six months of the end of the SPC’s financial year. On the coming into force of the Amendment Act the SPC may prepare separate or consolidated financial statements for its segregated portfolios or SPC. The Commission may exempt the SPC from the obligation to produce financial statements in respect of a segregated portfolio or class of segregated portfolio shares. The transfer of assets attributable to an individual segregated portfolio of an SPC to another person other than in the ordinary course of business are not permitted except under the authority of the Court. The Court will not make a segregated portfolio transfer order unless it is satisfied that the creditors of the company entitled to have recourse to the segregated portfolio assets attributable to that segregated portfolio consent to the transfer or that those creditors would not be unfairly prejudiced by the transfer. e) confirming that the segregated portfolio was not terminated or is not being terminated in a manner prejudicial to investors and creditors (and in the case of an Insurance SPC the policy holders). If the segregated portfolio has never engaged in business the notice to the Commission must also confirm this fact and give a reason why. c) act in any way with the affairs of the segregated portfolio. d) pursue a claim on behalf of or in relation to the segregated portfolio. As previously discussed, assets of a particular segregated portfolio are not available to meet the claims of creditors of another segregated portfolio. Although creditors may have recourse to the SPC’s general assets, the assets of other, solvent segregated portfolios are outside the reach of creditors. Therefore, each individual portfolio is “ring-fenced” in the event of the insolvency of another. BVI law allows for the distribution of dividends from segregated portfolios provided that they can satisfy the solvency test. In determining whether the solvency test is satisfied, no account may be taken of the assets and liabilities of other segregated portfolios in the SPC or of the general assets of the SPC. BVI SPC’s have generally been popular and offer significant advantages to investment funds and insurers. It has become increasingly clear that the use of SPC’s is appropriate in other instances and that market practice has changed (e.g. the use of SPC’s in connection with an online platform) requiring an update in existing rules related to SPC’s. To understand fully the advantages of SPCs it is useful to consider the structures traditionally adopted by for example investment funds. To ensure that investments funds were capable of offering access to different trading strategies, investment funds traditionally opted for either a “multi class” or “umbrella” fund structure. Prior to SPCs, “multi-class” fund structures were typically a single legal entity offering various classes of shares designated according to the type of investment strategy employed or the character of the assets in which the class invested. Each class investing in a “pool” (or investment portfolio) of assets with particular investment objectives and policies. A multi-class structure offers investors the ability to select a fee and expense structure that is most appropriate for their investment goals. The problem with a multi-class fund based on an ordinary company was that in the event of its winding up whilst the segregation of assets and liabilities among the shareholders is effective, the segregation between classes is not effective against third party creditors generally who will have recourse against all the assets of the company (including the assets of other classes). Umbrella funds were established as a means to combat this problem. Umbrella funds capitalise on the principal of separate corporate personality, adopting a group structure which allows various assets and liabilities and investment pools to be separated throughout the group. However, whilst they achieve the objective they increase costs and management time with each subsidiary in the umbrella group structure. By adopting an SPC structure investments funds and insurance companies have been able to offer segregation of accounts within a single corporate structure, thereby allowing different classes of investors or policy holders to invest or participate in different assets whilst only being exposed to the potential losses and liabilities attached to their chosen portfolios. From 1 October 2018 these advantages will be available to unregulated BVI business companies which register as SPCs under the Business Company SPC Regulations. For example: groups of companies with subsidiaries holding real estate, ships, aircraft or other assets, could opt to incorporate or register as an SPC and hold different assets in separate segregated portfolios. A company with distinct divisions to its business with different risk or liability profiles might consider incorporating or registering as an SPC and transferring each division to a separate segregated portfolio. In short if there is a situation where it is desirable to limit the recourse of third party creditors of a company to a particular asset or pool of assets of that company incorporating or re-registering as an SPC may be appropriate. 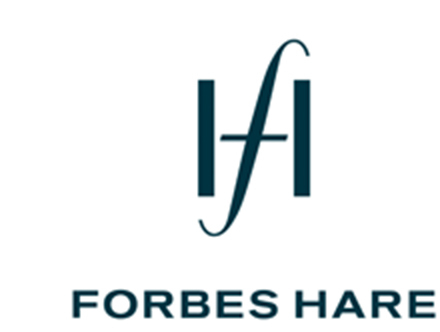 This legal guide is intended to be for the general information of the clients and professional contacts of Forbes Hare. It is not intended to be comprehensive, and should not be relied on as a substitute for independent legal advice in any circumstances.